Believed ot be built in 11th century Likir Monastery or gompa is one of the oldest and well maintained monasteries in Ladakh district. Built in style of a fort to provide sanctuary to local inhabitants during war, monastery is also known for the 75 feet statue of Buddha. Likir monastery was originally known as Klu-kkhyil gompa. Besides the tall Buddha statue, main attractions of the monastery are its architecture & murals. 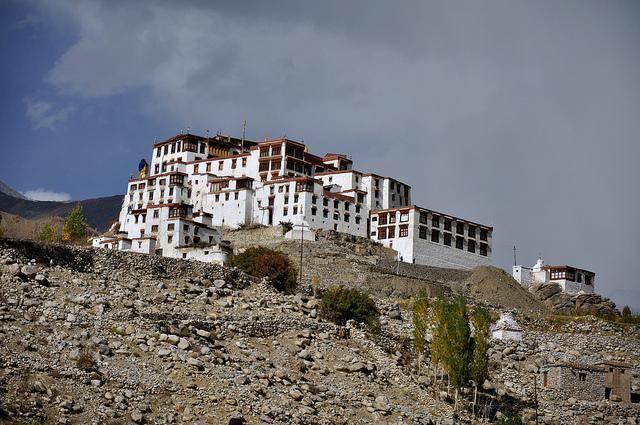 Monastery situated in Likir village is about 60 Kms from Leh and believed to be one of the oldest villages of India.